We will send your friends a link to our site along with your name and your optional message below. Thank you! 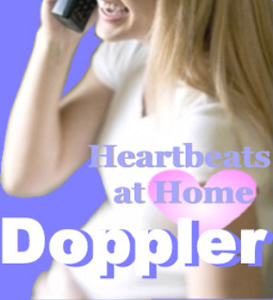 "I just wanted to let you know how much we are enjoying our doppler. I lost a baby at 18-1/2 weeks in December and being able to hear our baby's heartbeat everyday has provided me a wonderful sense of peace. I'll definitely continue to pass the word about Heartbeats At Home. Thank you!" Send a copy to myself?